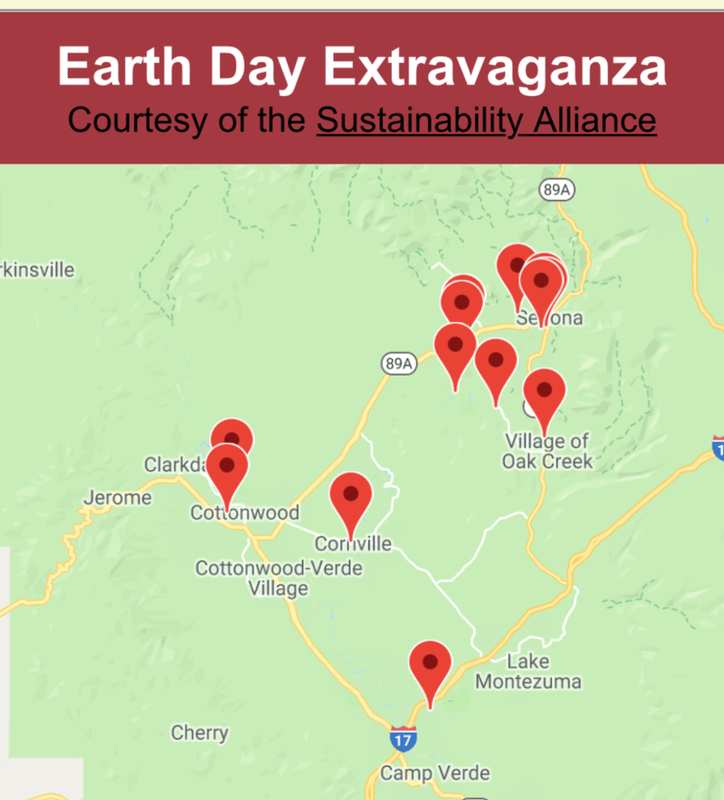 Instructional Game: One of the projects under the Alliance** is an effort to get sustainability into the school systems. Our two surveys (to AZ school administrators and teachers) showed us that there was a need for some in-service training on this topic. 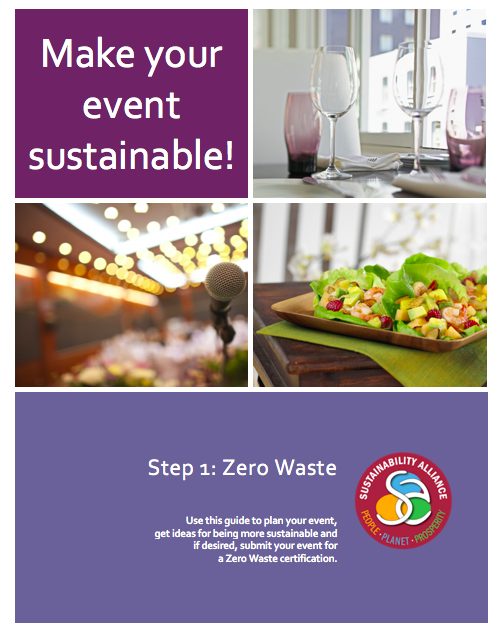 So we have drafted an instructional game which we can then take into schools to show them how they can take on sustainability related projects to save money and also teach students about sustainability concepts. We plan to set up in-service sessions in the upcoming school year. 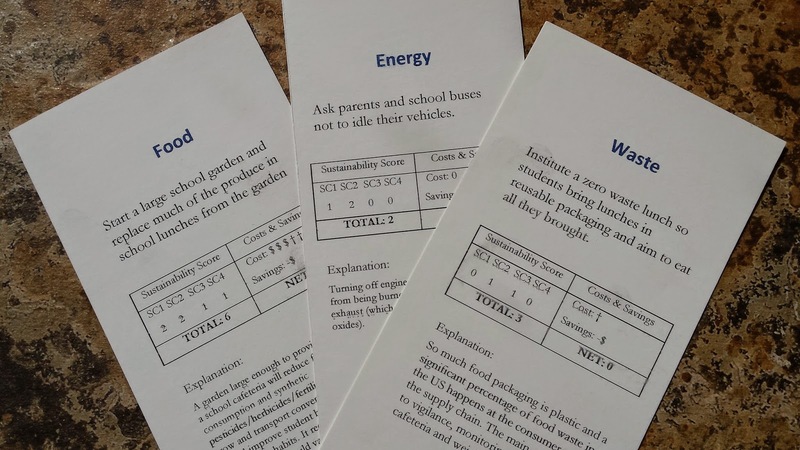 It’s a card game where teachers and administrators in teams choose amongst a wide range of possible sustainability-related projects that are rated based on sustainability benefits and cost+time involved, along with savings the projects might generate. Teams create a two year plan (which is evaluated based on net costs and benefits) and then identify how these projects could be woven into the curriculum. We are in the process of testing and refining the game. See the samples in the image below. HOW YOU CAN HELP: Let us know if you have a contact in a school that might want to have this training.